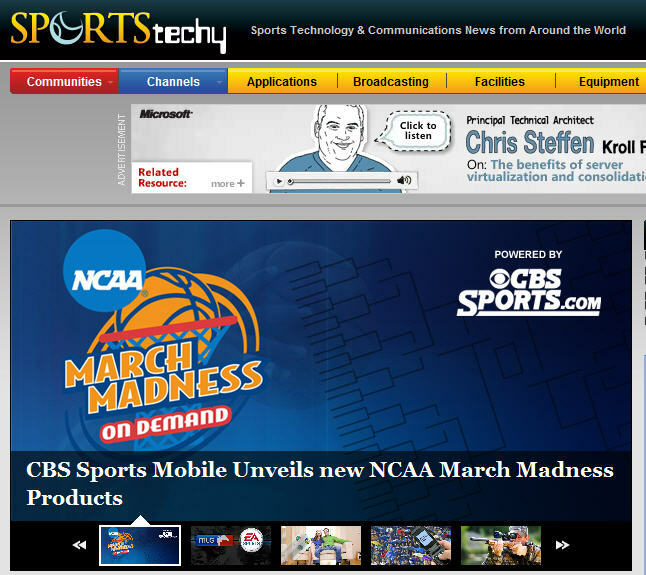 Feel free to navigate your way over to our new SportsTechy site (or just sports.tmcnet.com) for the latest on sports technology. As you know, TMC has been diligently building new community after community to serve you better and whatever your technology information needs are, we do our best to meet them. Thanks to you, we continue to expand into new markets and (ahem) tackle new subjects. Some of the latest articles on the site deal with the increase in web traffic due to March Madness and Yahoo's latest acquisition in the fantasy sports field. I hope you enjoy this new portal.